It’s easy to create a beautiful website with Faithlife Sites because you need only choose a professionally-designed theme. We’ll make sure it looks great! And if you want to try another variation, you can easily change it from your website’s settings. 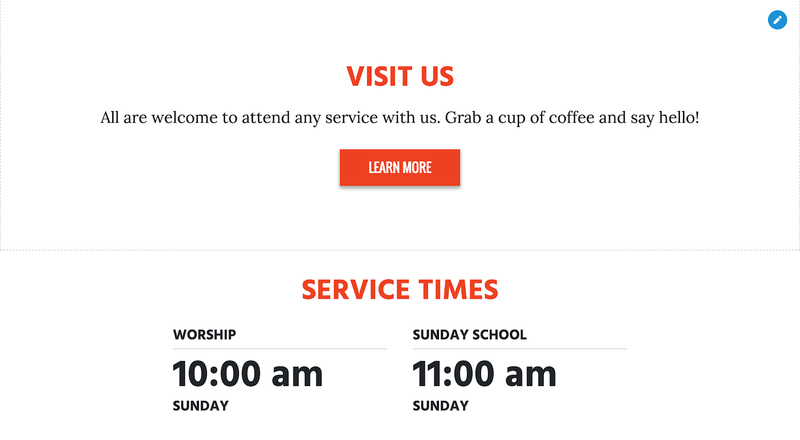 To adjust your design, navigate to your church website. If you’re not logged into your Faithlife account, click Sign in. Once you’ve signed in, click Edit Site in the top right-hand corner of the webpage. Faithlife Sites distribute information via widgets, which are blocks of space on your page that hold content. 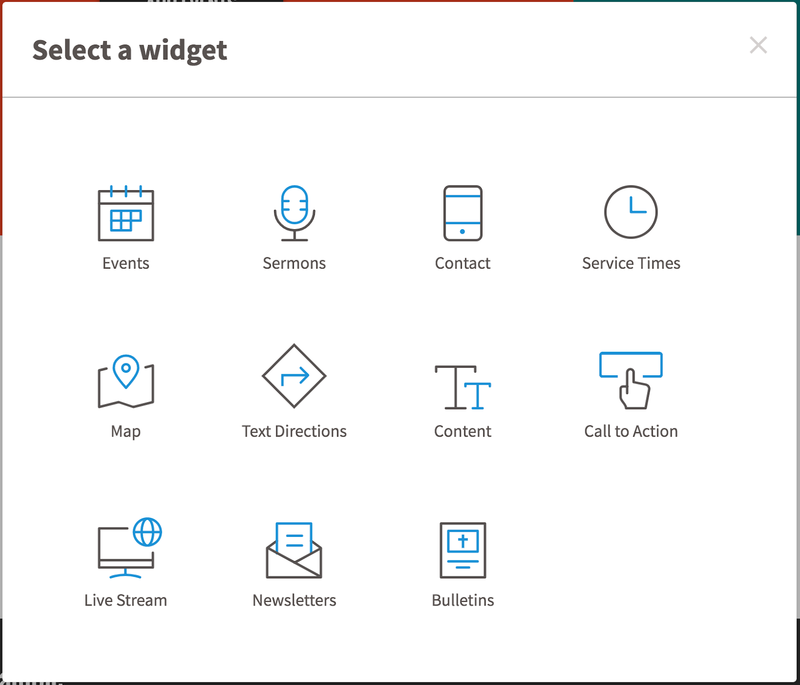 Widgets are connected, so when you edit a widget’s content, it updates across your site. Navigate to a page with a Service Time widget. Most themes display service times in the Contact Page by default. Click the blue edit icon to add your service times. Provide the appropriate details and click Done. You can add additional service times by selecting Add Service Time. When you’ve added all your service times, click Save and then Publish changes in the top right-hand corner of the webpage. Your website will now display the newly added service times anywhere a Service Time widget appears. Select the blue plus icon to add additional Service Time widgets elsewhere in your site. 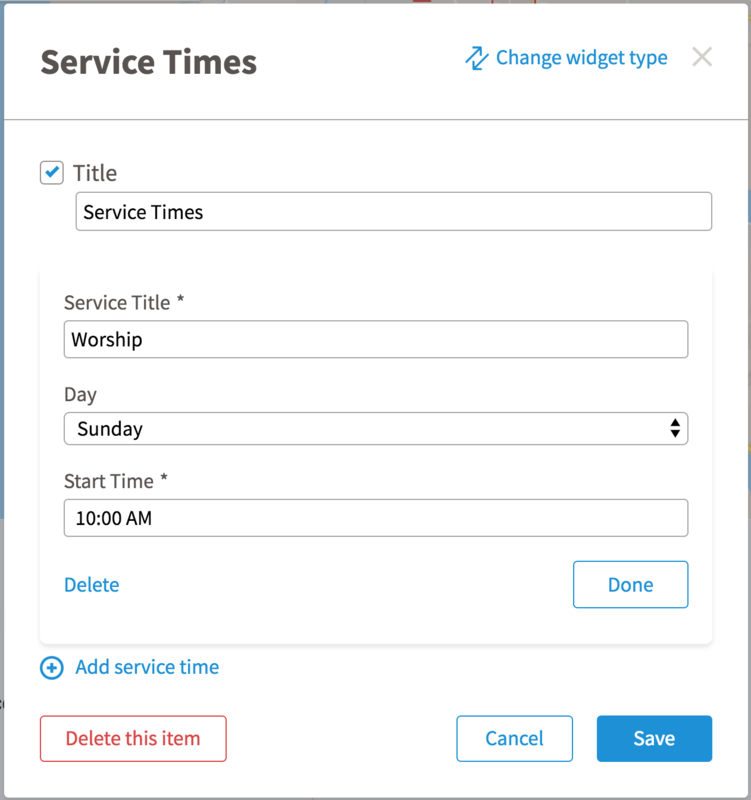 Select the Service Times widget and click Save. 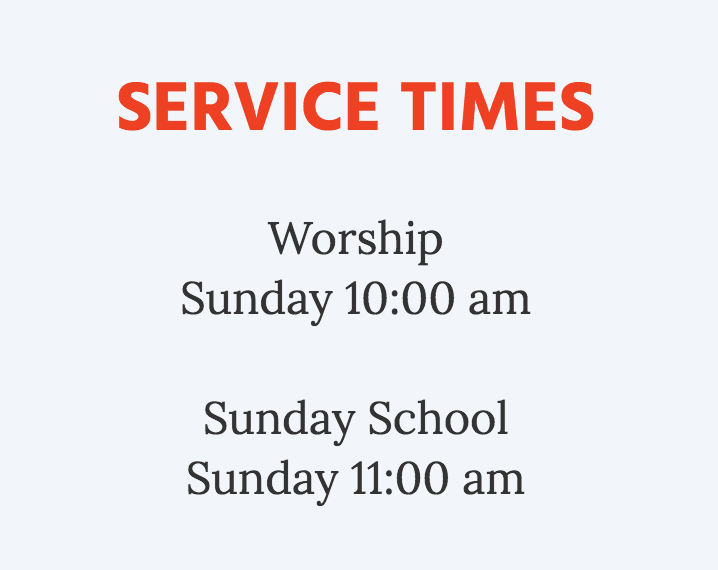 Your Faithlife Site will display the newly added widget with the correct service times. 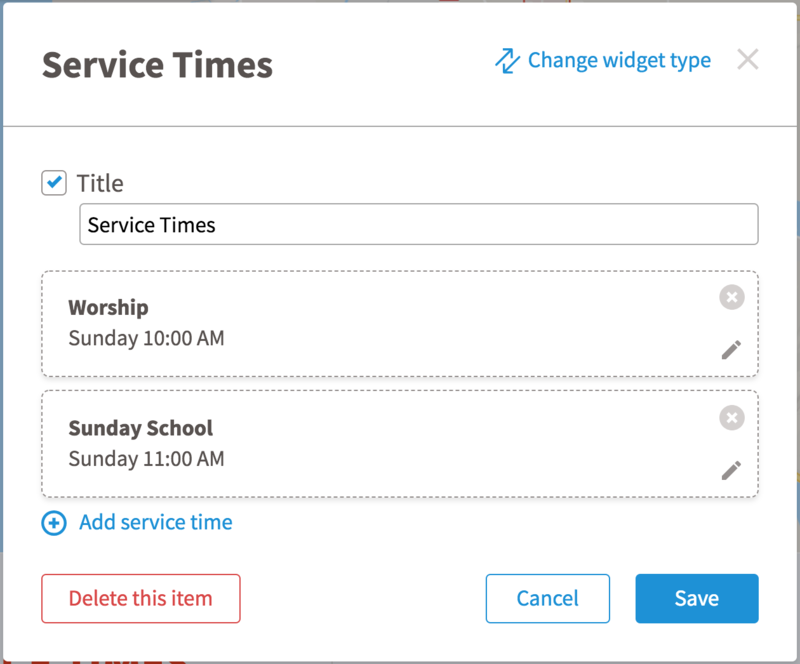 When you change, add, or remove service times, the alteration will populate to every other Service Time widget on your site.